The Orthodox Union has developed an innovative approach to help Jews worldwide interpret kinnot, the elegies recited on Tisha B’Av. The Orthodox Union (OU) has developed an innovative approach to help Jews worldwide interpret kinnot, the elegies that are recited on Tisha B’Av to mourn the destructions of the Temples in Jerusalem as well as other tragedies throughout the centuries of Jewish history. Kinnot are known to be quite difficult to understand, as most were written between the 6th and 10th centuries. For more than 10 years kinnot programs have been available as webcasts, both live and on demand. This year there will be two webcasts: one from Jerusalem and one from Boca Raton, Florida. Rabbi Tzvi Hersh Weinreb, the OU’s Executive Vice President Emeritus, will speak from Jerusalem. The webcast will begin at 9:00 a.m. (Israel) and will last about four hours. It will be broadcast from the OU Israel Center, 22 Keren Hayesod St., Jerusalem. Due to the time difference it will also be possible to view it at about 9:30 a.m. EST in the United States. Rabbi Weinreb will also discuss several tragedies that are not covered in the standard kinnot. “The first is from the fourth century in Eretz Yisrael and is known as Mered Galus. The other is from the 17th century Poland and is known as Gezairot Tach V’tat (the Decrees of 1648-49),” he said. Rabbi Steven Weil, Executive Vice President of the OU will speak from Boca Raton on the topic of “Confronting the Devastation.” His webcast gives viewers an opportunity to relive the tragedies of Jewish history throughout the millennia. 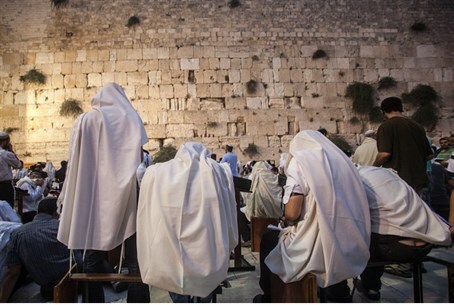 “Every year on Tisha B’Av Jews sit shiva again as they re-experience different tragedies beginning with the destruction of the Temples in Jerusalem through the Shoah and Islamic terror,” he says.